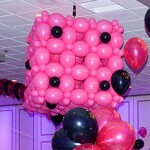 Unfortunately, the picture does not convey the grate harmony this design created in the room! 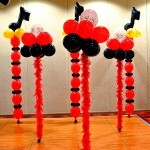 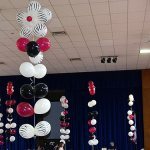 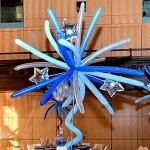 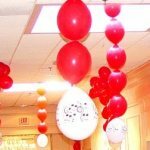 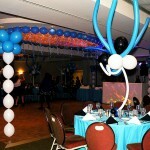 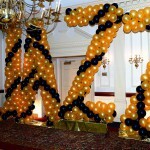 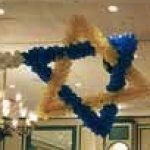 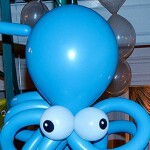 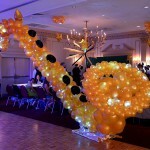 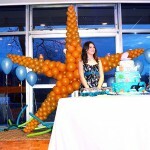 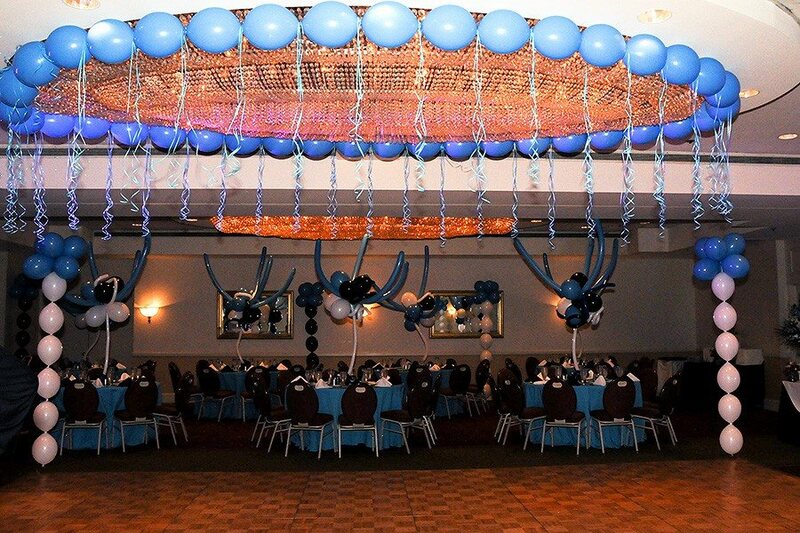 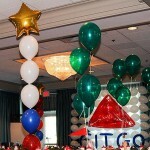 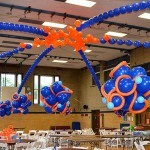 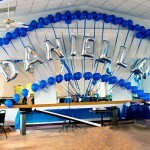 The circle around the chandelier, columns and the centerpieces turned the room around so much that even hotel personal commented on the balloon decorations! 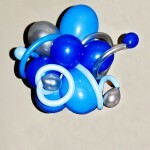 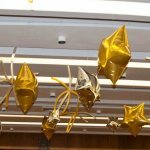 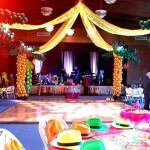 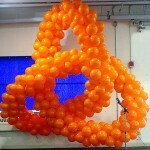 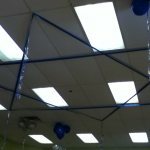 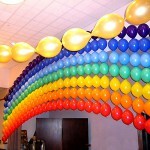 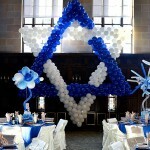 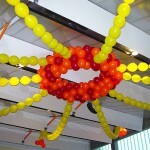 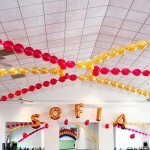 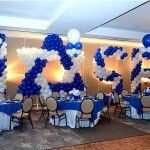 As always, good coordination of the ceiling decorations with floor ones give great results.